St. Modwen, the expert developer and regeneration specialist, has agreed a deal to bring B&M to its major regeneration scheme in Skelmersdale Town Centre. One of the fastest growing names in the high street the popular discount store, which offers big brands at big savings, will open a new large format 20,000 sq ft store, effectively forming a second retail anchor alongside Lidl. The planned B&M in Skelmersdale will see 50 jobs created for local people and adds to the discount retailer’s store portfolio of 570 shops. 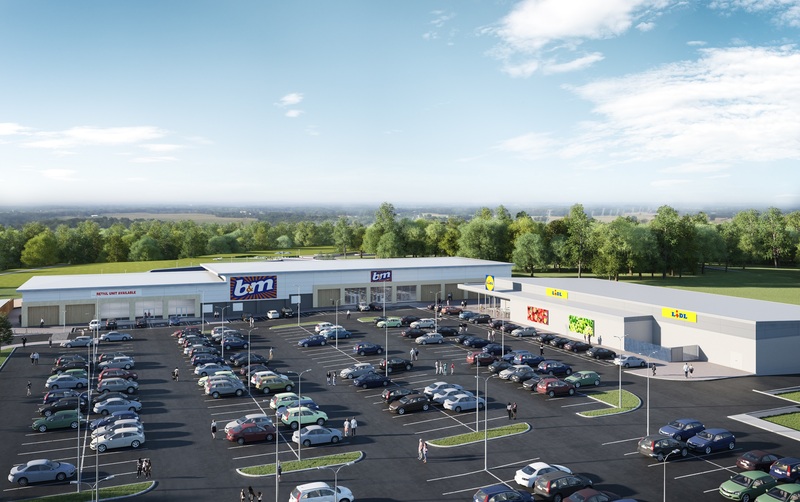 The announcement follows the news released last month that fast growing supermarket chain Lidl will occupy a 20,800 sq ft unit when the ambitious project gets off the ground. From its first store in Blackpool in 1978, B&M has grown opening stores all over the country, including 50 new shops planned for this year, and currently employs more than 28,000 staff. B&M is now a high street staple and is now one of the leading variety retailers in the UK. A B&M spokesperson said: “We’re feeling really positive about the creation of more jobs for local people and we hope customers are going to be delighted with their new store when we open. St. Modwen is working in partnership with West Lancashire Borough Council and Homes England to deliver an extension to Skelmersdale Town Centre. Discussions are ongoing and the partners consider the agreement with Lidl and now B&M is a further boost for the scheme. Plans include extensive improvements to the public realm, including a new pedestrian link between the college and the existing town centre, as well as enhancements to the public areas outside the library and Nye Bevan Pool. St. Modwen has also released a new CGI that showcases the town centre scheme and highlights the location of Lidl and B&M. When will this be done? I agree with Rosie Cooper . When the first spade goes in, I’L believe it.